I have been putting the XP10 demo through its paces from day one, tweaking parameters, looking at this and that....... essentially gawking. However there is one thing that is bothering me more and more, and that is environment scaling. It seems like some components of Xp10 just don't fit with others. Trees especially seem to often be completely out of scale, and apartments and office buildings seem to be on a totally different scale than residential housing. At least that is what my eyes are telling me, and once you notice it, it becomes quite distracting. Hit the pause button when flying over mixed residential/commercial areas and look at house and commercial window/door sizes. Then look at trees. I am seeing single family houses bigger than apartment buildings. I haven't had a chance to do what you did, but it's a good question. I'm still trying to figure out why I have purple roads outside of LFMN right now! Had a look at buildings, trees, etc,, and all seem pretty much OK but it changes a bit depending on perspective. Where exactly are you seeing this behaviour or is it a global issue? Might help if I went to the same place you're going to have a really good look. Saw this on another scenery forum here. Amazing possibilites are looming for Xplane http://osm2xp.com/ You probably already saw it. If so, sorry for the duplicate. Some trees appear to be a little too large, while others are more plausible. 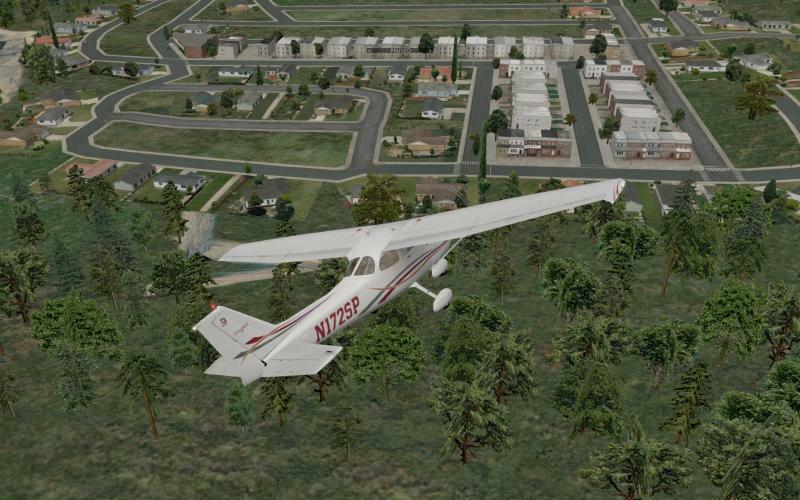 But it's a step in the right direction compared to the giant trees in FSX. And I'm certain that the issue with the remaining trees can also be fixed in the future. I'm not sure what Hiflyer means with the buildings being out of scale. They look right to me, but maybe I didn't try hard enough. If others are not seeing it, then I will just accept that my sense of scale is off on this. Tempelhof, even in the picture you posted the scales seem odd to me. The footprint of the houses, as opposed to the apartment buildings seems odd to my eyes, and it seems the houses would have enormously more square footage than plausible, as compared to an apartment complex. To me, houses seem to be on a slightly larger scale, at almost any given angle. Trees are odd, too. Its a small thing, but the part of me that is an artist is yelling about perspective. On the other hand, Maybe I just need new glasses. Beauty lies in the eye of the beholder. But nothing that a pint of ale couldn't cure.